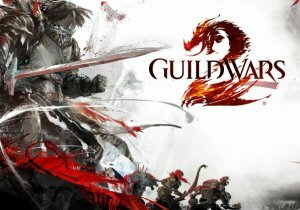 Tyria gets ready to celebrate the holiday season, as Guild Wars 2 kicks off its annual in-game event, Wintersday today. ArenaNet invites their players to get set for some new surprises, and some old favorites, as Wintersday lasts from today until January 2nd. This year, players will be able to enjoy some new surprises, including ice castle-themed guild hall decoration pieces and the “Secret Lair of the Snowmen,” a 10-player instance with unique rewards, including Wintergreen-themed weapons. There will also be new additions to the set of candy cane themed weaponry, several new minipets, rare items from the Wintersday gift boxes and new meta-achievements. Best of all, this content is free to all players. More info can be found below.